"I am pleased with the Harsh Enviroment ribbon. 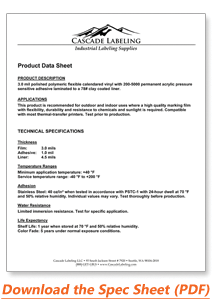 Works well in our TSC TTP-345 printer, and is easy ..."
"Thanks for the icons you sent us. We're saving a ton of money by printing these labels ourselves and..."
"The quality is every bit as good as any brand out there and better than most. 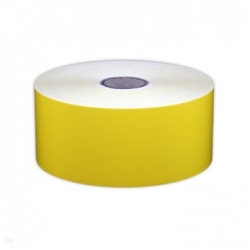 They are the least cos..."
"I am very pleased whith the High-Tack label product, we are using it on equipment which is out in th..."
"We have been using the Harsh Environment Resin Ribbon for 2 years for tractor identification labels..."